Here’s the last post of the year, you might want to throw this one one at your New Year’s Eve party…see you in 2010! 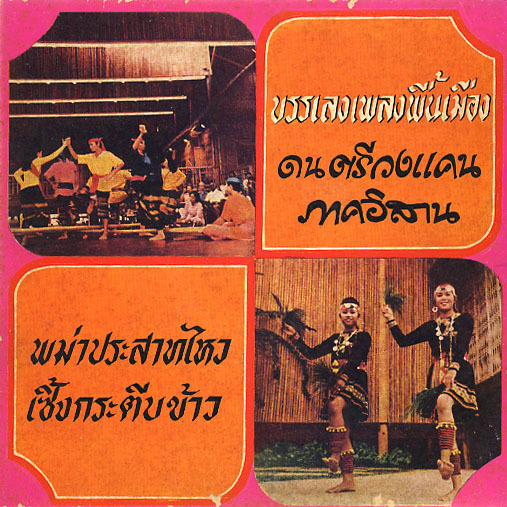 In the 1960s, Molam began to modernize, adding drums and other instruments, perhaps in an effort to compete with the wildly popular luk thung performers. Here’s a fantastic instrumental 45 rpm record with some nice khaen playing and a prominent phin, a small 3 string lute. Beautiful. Thanks for your generosity in sharing this and all the other great music in 2009. Compliments of the season to you. Can never get enough molam…thanks and happy holidays. I second icastico. Thank you very much! Molam began to modernise before the 60’s to compete with other musical styles. From about 1952 lam mu copied the brilliant costumes directly from Thai likay shows and incorporated them into molam shows. lam cing is only the latest development in this exciting and vibrant music, cleverly it usually incorporates luktung hits into its repertoir. 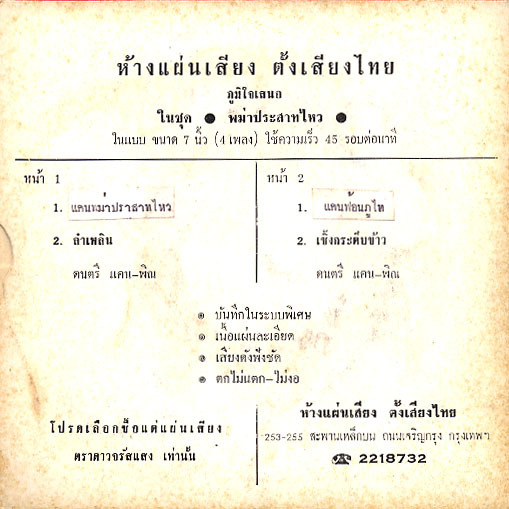 Thanks for the music; it would be nice to have the name(s) of the peformer(s) of this piece (for those of us who don’t read Thai). unfortunately, no artists are credited on the record sleeve!